Pets are an important part of modern families. they are most happy at home in their known environment. However, sometimes when you are moving locations or even on a holiday, and you take your pet with you it seems to be hard to do it in a stress–free way. That’s why you need to plan and prepare ahead. With 24–hour car rentals becoming cheaper and easier, a road trip become the most easy way to travel with your pet . For the comfort of your pet, you should take a crate or carrier which can keep them from running around in the vehicle and disturbing the driver. Ensure that the carrier is big enough for your pet to not feel confined. Also, familiarize your pet with the carrier as well as the vehicle so that they are not scared. Take breaks on a long way – to give your pets enough time to relieve themselves as well as run around and spend their excess energy. Also, plan to feed your pet at least 3 hours before you begin your trip and avoid feeding the pet in a moving vehicle. Pet traveling kits are also a good idea as they can keep the feeding paraphernalia, first aid kits, medicines, pet toys etc in one place neatly. Don’t allow your pet to stick their head out of a moving car or train as they can injure themselves. 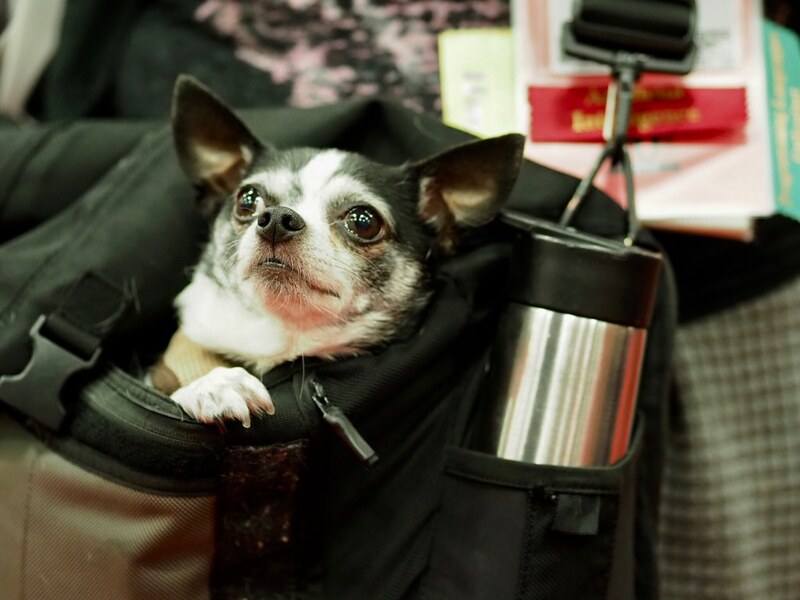 Not all trips can be road trips and sometimes when you need to take a plane or a train you need to bring your pet with you. In such cases, try to be sure that you are on the same flight/ train as your pet and let the attendants on the transport know that you are traveling with your pet. Make sure your pet has their favorite toy with them in the carrier so that they are not overwhelmed with the strange environment. Also, try to check the permission of carrying your pet (usually cats or small dogs) with you in the cabin when you are traveling by air. Air travel, especially in the holding area, is definitely riskier for the pet due to associated issues like oxygen deprivation risks, temperature extremes, the risk of injuries and mishandling as well as pets being lost on flights. In conclusion, the most recommended way to travel with your pet is a road trip, organized easily through a 24–hour car rental service. Make sure to inform the car rental service that you will be traveling with your pet and carry the vaccination and id documentation of your pet with you while on the road trip. Happy travels!